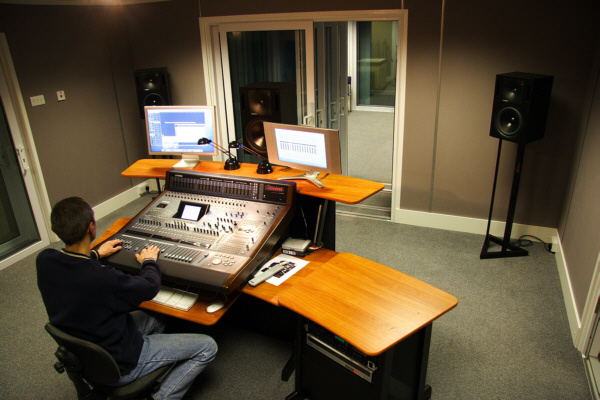 Advice, Studio Set Up, Sound Engineering and Tuition and Training in Music Technology. London and South-East England. If you would like to know more please click here to get details of how to contact me. Bought a load of gear and don't know what to do with it... Have you got Cubase, Logic, Digital Performer, Pro Tools or Reason and you can't get the whole thing to work... Whatever the software package or hardware configuration I can help you. I can help you set up your studio whether you just have a PC/MAC and MIDI keyboard, or if you have a mixing desk, hard disk recorder and loads of MIDI sound modules. This includes iOS devices where some can be linked into your main system. Once you have gone out and spent loads of money on your equipment it's important that you have your system set up the best way for you. There is no "right or wrong way" to set a music system up, every set up is individual. I'll help you get the best for you, the way you work. I'll help with troubleshooting if you are having issues with pieces of kit that apparently aren't working properly. (Please note I do not repair kit). Why spend days setting it up and trying to understand the manuals when I can get you started in a fraction of the time. Control Room 1 at London Metropolitan University. As built by Pro Music International Limited. The picture is Copyright Ross Rayner-Brown and Pro Music International Ltd.
With me sitting at the controls using Logic Pro 7 and a Yamaha DM2000 desk. I was involved in some of the building and also the installation and set up of the desk and the other related equipment (see the first reference under "Examples" below). This is one of 3 control rooms (with identical set-ups) around the Live room, which you can see through the doors straight ahead of me. Also, there are 3 video editing suites which were built at the same time. It doesn't matter how simple or complicated. If you don't understand it or need help please ask. Pro Tools HD along with C|24 control surface, Neve pre amps, UA 1176 and Pultec EQs along with various other outboard such as a Lexicon 480L. Laptop with Cubase or Logic with USB audio interface. Quad core Mac with Pro Tools HDX system and Pro Tools 9 with high end Pre amps and compression outboard. Full multiple studio set up including Yamaha DM2000 with MOTU 828, MOTU MIDI express, G5 (running Logic Pro 7, Nuendo etc.) and full Genelec 5.1 surround sound system. Two PCs running Cubase 4 and Cubase LE along with a Multitrack recorder all synchronized. G5, running Logic Pro 7, with M-Audio Firewire solo. PC running Cubase SX3 with 3 * MOTU 828 and Yamaha 02R96 via ADAT. PC, running Cubase SL3 and Reason, with Delta 1010 into a Yamaha MG24/4 with Fostex PM-1s. Using the Groups and Aux. sends on the desk to record different instruments or vocals simultaneously. Mac G3, running Cubase VST 4.1, with Midisport 8 x 8, Mackie 24/8, 2 Yamaha Hard disk recorders, various sound modules, 3 different Joe Meek compressors, 3 different Reverb units, Antares auto-tune (outboard) and TC helicon outboard vocal processor amongst others. I have helped people with their systems from the simplest set up, computer with interface, to the complicated, 32 channel 8 group desk with multiple outboard set up. Whatever you have it needs individual attention. I can help you get the most out of what you are trying to achieve. Call me to get help now. Please enable Java to use these buttons. Copyright © SW Sounds 2018.